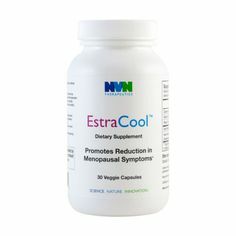 EstraCool is a non-hormonal supplement that features Lifenol, a patented hops extract that reduces hot flashes and other discomforts associated with menopause. In addition to alleviating menopausal discomforts, this synergistic blend of ingredients also supports bone health and cognitive abilities while providing all day energy. *Clinical results obtained after taking Lifenol supplements providing 100g of 8-prenylnaringenin a day for 2 months. Unique and completely natural, Lifenol is an innovative ingredient designed to relieve the symptoms of menopause. 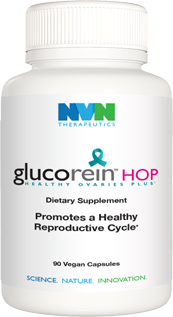 It is the only plant extract from hops that reduces discomfort associated with menopause, particularly hot flashes, thus improving womens live during this challenging time.Lifenols effects on menopausal symptoms, hot flashes and the general quality of womens lives, has been demonstrated clinically after only six weeks of administration. The effectiveness of Lifenol in relieving discomfort associated with menopause has been assessed in a randomized, double-blind andplacebo-controlled study published in the scientific journal Maturitas. The evolution of symptoms was measured via a questionnaire filled in by doctors monitoring the women taking supplements. This test took into account hot flashes, sleeping disorders, irritability, headaches, etc.After 6 weeks taking Lifenol supplements,at the recommended dose of 100g of 8-prenylnaringenin a day, we observed a significant reduction in symptoms associated with menopause, compared to the placebo.